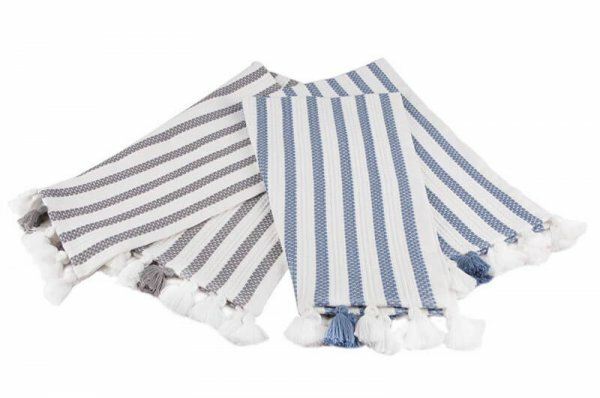 Cotton & Olive’s luxurious cotton bathmats are the most recent addition to our bath and spa range. They are simple, elegantly designed and of the highest quality. 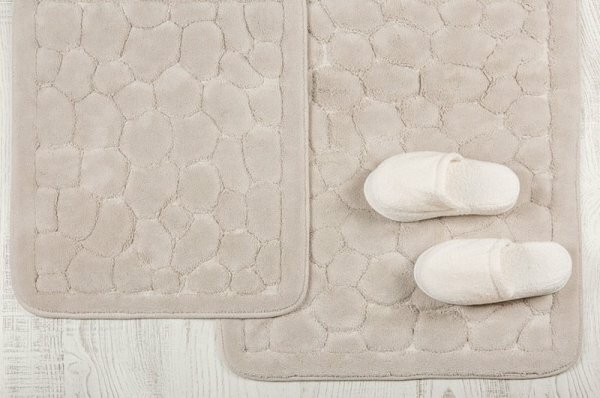 These bath mats are 100% cotton. 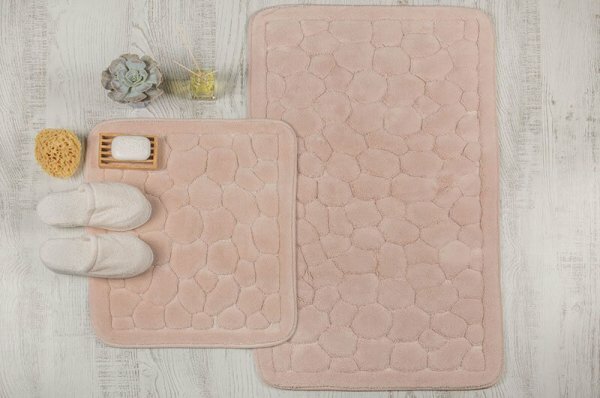 Our cotton bath mats come in a range of thicknesses – some bath mats like Stone and Lace have a deep pile to give you extra cushion under your feet. They have a good selection of soft colours and they are presented in their luxurious fabric sleeve with a zip. 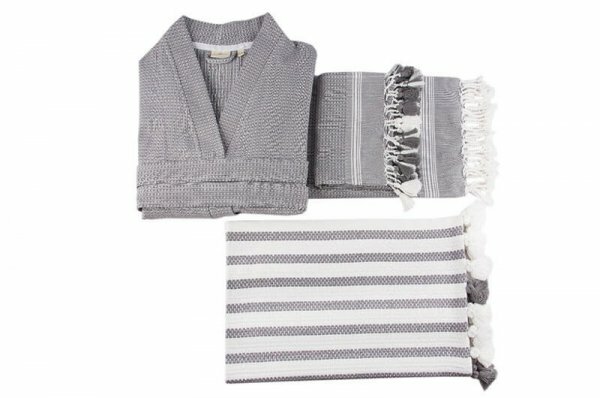 However, if you like the eclectic, more unorthodox look in your bathroom then you will love the Tuana bath mat which is part of Tuana Bath Sheet, Hand Towel & Bathrobe Set. They represent purposeful practicality and utilitarian chic concept at home. 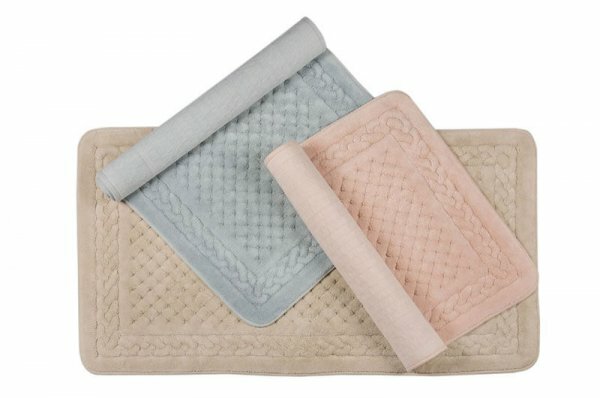 Our bath mats have lovely soft shades of pastel colours to brighten up your bathroom floor and give an extra freshness and soft touch of colour in your bathing space. Pure bliss!